With a number of big celebrations quickly approaching, and Christmas on the horizon, my quilting 'to-sew list' doesn't appear to be slowing down anytime soon. To keep me focused and on track again this quarter, I'm setting some Q4 Finish-A-Long goals. Amanda and I put this top together while we were at Sewing Summit a few weeks back, and now I need to get it quilted and bound before our great aunt turns 90 this weekend (talk about a tight deadline). I recently finished this top and mailed it to a long arm quilter to let her polish it off. I hope to get this quilt back soon so I can bind it and deliver it to my grandma when I'm home for Canadian Thanksgiving. 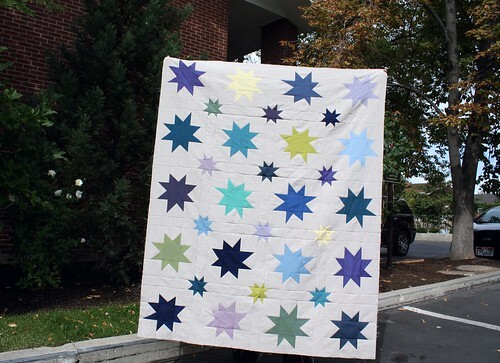 This quilt has been on my to-do list for what feels like eons. 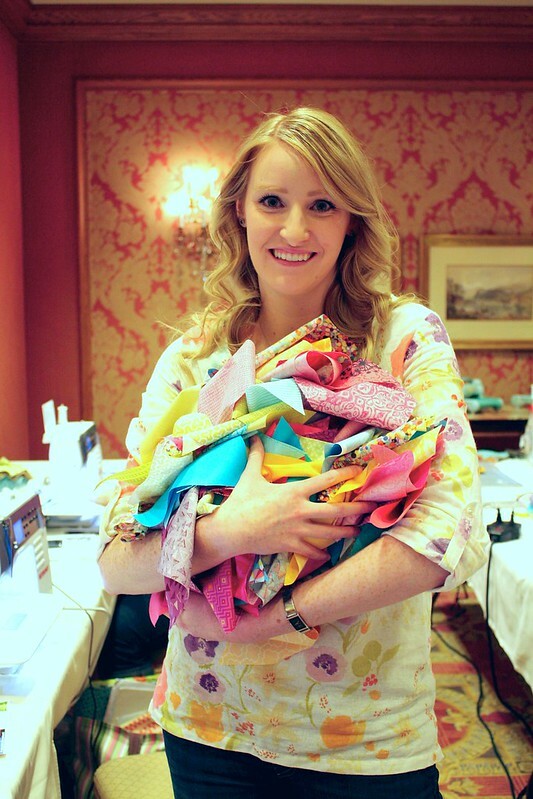 I pulled a baby girl quilt stack from my stash last November and it sat untouched until last month when I found out that I was in Jeni Baker's Equilateral Triangle Quilt class at Sewing Summit. I have cut all of my triangles and have started piecing together this quilt for my brand new baby niece! I am reeeeeaaaally excited to make more progress but number #1 and #2 have been monopolizing my time as of late. Four years ago when I married my husband, I started thinking about our Christmas traditions and how we could create our own memories together. On our first year, I made a tree skirt and some stockings, but was too nervous to start a quilt. Since this Christmas will mark our fifth together as a little married couple, I figure there is no better time than to finish a quilt. I showed a peek of this stack last week but haven't taken any progress shots yet. Mostly it's a pile of tiny squares at the moment. So. Many. Tiny. Squares! When I finished up my Pink Pluses donation quilt last month my husband kept commenting on how 'cool' it was. He also lamented multiple times that week that I have yet to 'make and keep' a single quilt to date. 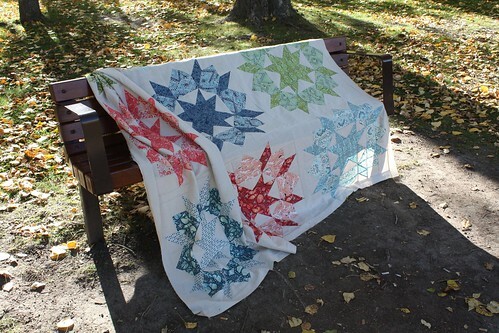 I decided then and there I could do something to fix this problem so I've added a secret quilt on my to-sew list this quarter - and don't worry he doesn't read our blog so no spoilers here! Here is a shot of my fabric pull. Most of the strips have already been cut when I was able to a moment at home by myself but it's pretty slow going so far. I finished this quilt top more than a year ago but have yet to actually quilt it. Since I mentioned in #5 that I haven't kept a quilt yet for myself, I'd like to prioritize this one just for me. It's a sentimental quilt and I truly love it. It's time to fit in a little selfish quilt now - amiright?! It is a great list, do come and link it up for the FAL too. I love your list! I have yet to keep a single quilt I've made, also... What is it about quilters giving away all their hard work?! 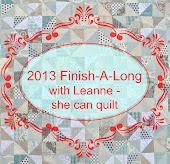 I hope I can wrap up my WIP list - and keep a few quilts while I'm at it! - by Christmas, too! Here's to positive thinking, right? My favourite picture is no. 3. Good luck on your goals. Wow. You have some fabulous projects in progress. 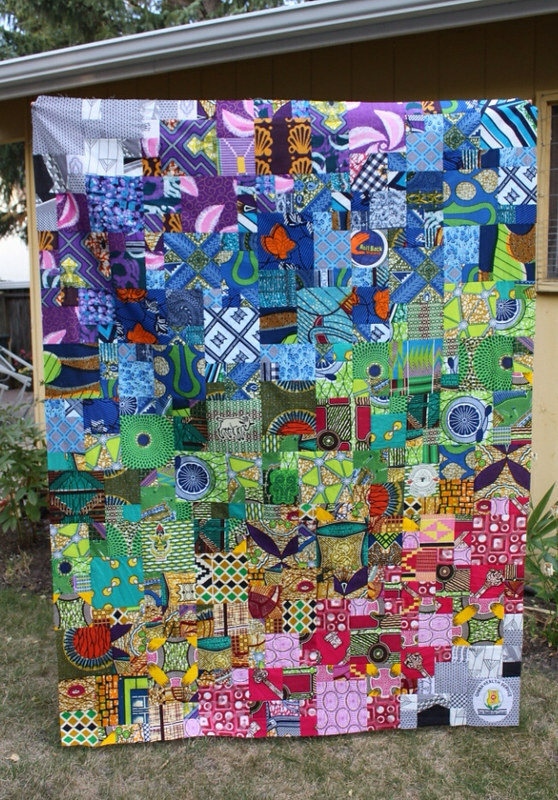 I love the Max Wax quilt - so scrapfabulous. 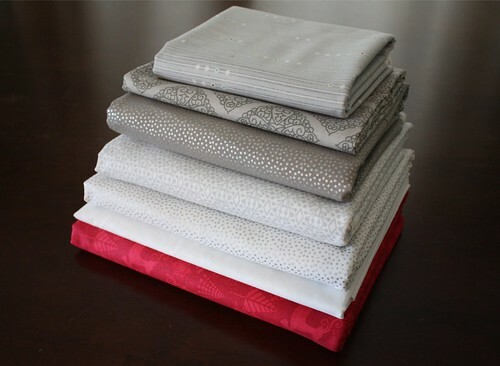 And the fabric pull for your Manly plus quilt is great. I look forward to seeing that one come together. You've got some work to do! It's all looking gorgeous. Wow, you have lots of lovely projects to work on. I can't believe you haven't kept any of the quilts you've made for yourself - definitely time to remedy that! 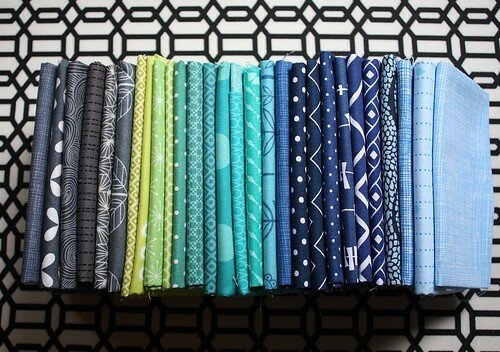 And nice work on the plus quilt for your hubby - my friend is currently doing exactly the same thing but with all grey fabrics! Very smart to make a list! I would too, if I thought I could keep it. I can't believe you haven't kept a quilt yet! About time to give yourself one. Oh my, so many gorgeous Projects!!! Your projects are all fantastic Kelsey! Looking forward to seeing them finish up! Love your "manly stack", i definitely need to finish one for myself this round! I am loving all of your projects here! I'm especially excited to see how the magic wax quilt turns out! Michelle you are a no-reply blogger so I can't email your response! Since I can't email you me response, here it is: Thank you for such a sweet comment. I am really looking to finished that magic wax print quilt since it has such sentimental value to me :D I'm determined to finally get that WiP finished up!